As Facebook and Microsoft have plowed ahead with virtual reality, Google has looked like it’s behind. But, in 2016, it may be serious about catching up, according to Recode.net. The search giant is forming its own dedicated division for virtual reality computing, with CEO Sundar Pichai moving over a key deputy to run it, according to multiple sources. Simultaneously, the move signals Google’s emerging intent to build a viable enterprise business. 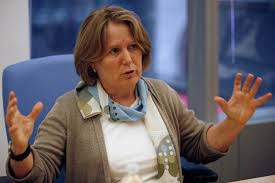 Because with the executive shift, Google’s massive consumer Web applications now fall under incoming SVP Diane Greene. A Google spokesperson confirmed the changes, but declined to comment further. Clay Bavor, VP for product management, has run Google’s apps — like Gmail, Drive and Docs. He has also overseen Google Cardboard, its thrifty virtual reality device, since its launch in 2014. Now Bavor is dropping apps to focus squarely on virtual reality products. And the apps division is shifting to Greene, the revered software vet who joined Google in November to run its newly aligned enterprise operations. Cardboard, which was designed to be a mainstream introduction to VR, has seen some success in getting out into the wild. It began distribution programs with schools this year and saw a nice bump from a buzzy deal with the New York Times. The Cardboard team also introduced an integration with GoPro that brings virtual reality video to YouTube, a feature that Bavor introduced at Google I/O in May. Yet many people in the industry have questioned Google’s dedication to the platform, noting that the company has moved cautiously after its fumble with Google Glass. Facebook, conversely, has been open and assertive about its ambitions in VR, running Oculus as its own separate division. It’s likely that Google’s long-term bet on the computing platform is its investment in stealthy augmented reality firm Magic Leap. (One person familiar with Google dubbed that investment “FOMO” — or “fear of missing Oculus.”) But that product is several years, if not a decade, from a consumer reality. Over the past year, Bavor, a precocious and well-liked exec inside Google, was spending more time with Cardboard despite his broader responsibilities, several Google people have said. (Though there’s no indication that products like Gmail suffered as a consequence.) His move to VR full-time shows that Google is taking the threat from Facebook and others in the space as a credible one. Four hundred people at Facebook currently work on Oculus, a Oculus spokesperson said. A Google rep would not say how many people work on Cardboard or any other unannounced VR products. Just as critical in Pichai’s managerial shift are the new duties for Greene. The former VMware CEO came to Google (for a steep price) after an extensive search. Greene is responsible for turning two of Google’s biggest untapped assets — its cloud sales division, which is well behind Amazon, and its enterprise applications sales, which have yet to take off despite several attempts — into a business that can rival search.